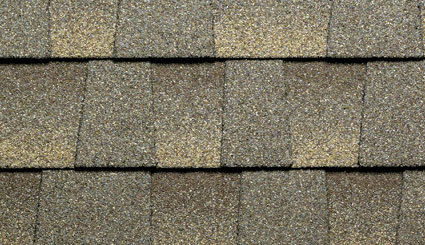 When it’s time to reshingle your roof, consider ENERGY STAR® rated cool roof shingles. Asphalt shingles that use cool roof technology can cut your summertime cooling expenses by 7% – 15%. The key to a cool roof, says the Cool Roof Rating Council, is to reflect this energy before it can be turned into heat. While it’s great to think about saving up to 15% on your summer cooling costs, you might wonder if you’d be giving up potential solar heating attributes in the winter. No worries – research has shown that the benefits of cutting summer cooling requirements far outweigh the benefits of any solar gain through the roof in winter. Additionally, winter has much shorter daylight hours and the weather tends to be more overcast over the winter months. These energy-efficient shingles are installed just like standard shingles, and it’s a do-able job for an experienced DIYer (as long as the roof isn’t steep – 6/12 pitch or less). We give this project a “DIY Hero” difficulty rating. For good how-to instructions, check out these tips at the DIY network. Thanks to developments in darker pigments, there is now a wider array of color options for cool roof aesthetics. For more information, visit The Cool Roof Rating Council, which was created in 1998 to develop accurate and credible methods for evaluating and labeling the solar reflectance and thermal emittance (radiative properties) of roofing products. Next time you need to replace your roof, consider the cool option!